Just ahead of the August 5 Curiosity landing on Mars, NASA's Jet Propulsion Laboratory and its server partner Amazon Web Services hired tech service provider Soasta. 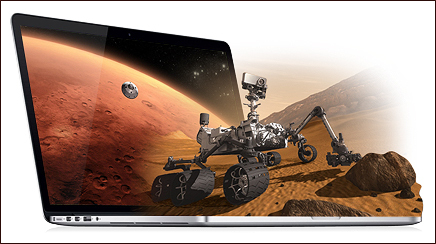 Just ahead of the August 5 Curiosity landing on Mars, NASA's Jet Propulsion Laboratory and its server partner Amazon Web Services (AWS) hired tech service provider Soasta to ensure that NASA.gov could support half a million streams and 1 million simultaneous users viewing live video and pictures captured by Curiosity. AOR Grayling Connecting Point helped Soasta leverage the occasion to broaden awareness of the company, drive traffic to Soasta.com, and attract new business leads. Testing on the website wasn't complete until late afternoon on Friday, August 3, so the agency had to move quickly to pitch stories. Targets included top-tier journalist and bloggers covering tech, business, and science. Given the tight timeframe, the agency team relied heavily on Facebook and Twitter to connect with journalists and bloggers. “We sold it as a behind-the-scenes story about how Soasta helped NASA get ready for the live streaming,” Sparrer says. Galvin adds that excitement among Soasta's engineers helped drive tech stories. “Our engineers were so excited to have the opportunity to interact with the jet propulsion lab engineers, and that was part of the tech angle,” he says. The campaign generated five new sales leads, each worth five to six figures. The week of August 3 Soasta.com traffic was up 38% compared to the previous week and higher than in any other week in the previous six months. It was also the second-highest traffic week in the site's history. Galvin reports continual traffic increases since. Eight stories, reaching about 15 million, ran in outlets such as The Wall Street Journal, GigaOM, and Forbes. Soasta and Grayling Connecting Point will continue working together. New product, service, and partnership announcements will be made during the next several months.